•	SAP Success Factors Certified in Employee central. 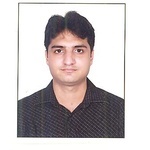 •	9.5 years experience in SAP HCM / HR-ABAP/ABAP and a total 10 years of IT experience. •	Has worked in sub-modules of SAP...Read more•	SAP Success Factors Certified in Employee central. •	9.5 years experience in SAP HCM / HR-ABAP/ABAP and a total 10 years of IT experience. •	Has worked in sub-modules of SAP HCM US Payrolls, Time management, Learning solutions, Appraisal management, Personal Administration, Organizational Management in end to end implementation projects and production support project. •	Worked on ABAP- Report, Interfaces, .Adobe forms, Smartforms, enhancements, Dialog programming, ABAP objects, BDC, User exits, BADIs, OOPs, RFC, BAPI, BADI, Web-Dynpro ABAP , iDOCS , ABAP Queries. •	Efficient usage of HR Logical Databases (PNP,PNPCE and PCH), HR Macros and Basic Knowledge of SAP Scripts, ESS/MSS and SAP workflow .